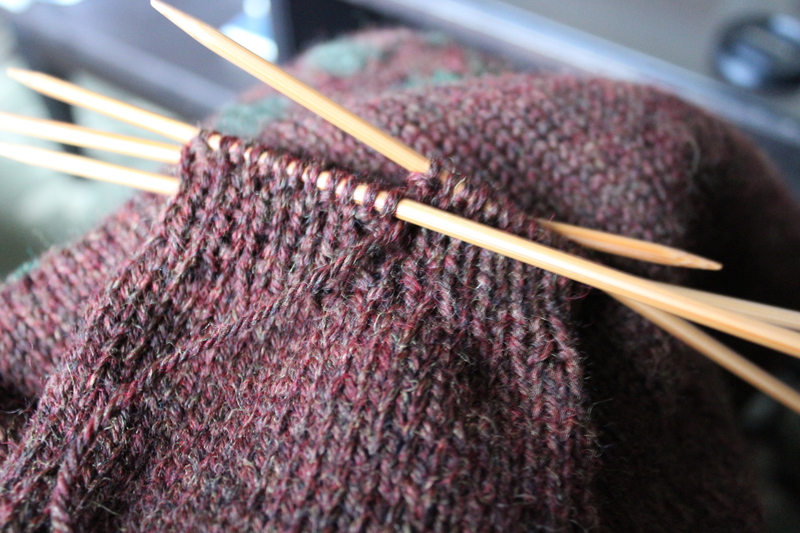 This problem is kind of a first world problem, a problem of “too much.” I’ve taken on too much knitting work. It’s great- because I’m really making knitting my “big girl” job, which is amazing and exciting. I never even considered “professional knitter” when I did those “What I Want To Be When I Grow Up” assignments when I was a kid. I always thought it would just be a hobby. So, it’s fantastic that I’m actually getting paid knitting design work. However, I may have bit off more than I can chew this month. I (accidentally?) agreed to three contracts this month. I should be able to manage everything, after all I’ve got until the end of the month, which is a long way away. But in the meantime, I’m going to be knitting like the wind! It feels a little like the month before Christmas- working as fast as I can, in every available minute. Cross your fingers and send good knitting vibes! Do you ever take on too much knitting? What do you do to help yourself go faster? This entry was posted in On My Needles and tagged deadline, deadlines, design, knitting, time crunch, work on May 8, 2017 by onemilljellybeans. 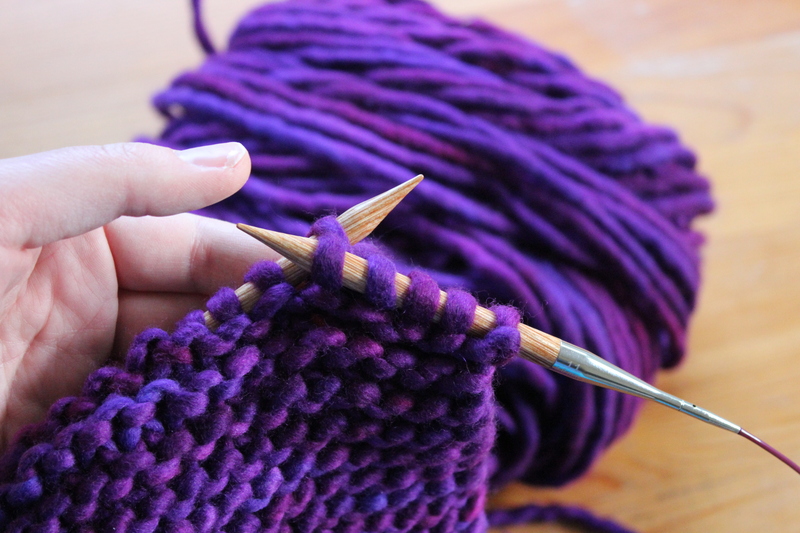 I love both yarns you are using and can’t wait to see the final projects. Hang in there! Yes, that purple is gorgeous! What is it? Took on too much knitting once and learned my lesson. I just made myself power through it. Lots of knitflixing!